Build your own retro gaming rig at home with Raspberry Pi! Considering their inability to meet consumer demands, one might think that Nintendo uses ground unicorn horn in the manufacturing of their hardware. Perhaps you were unable to get your mitts on a SNES or NES classic. Or maybe you are just thinking the price tag is too high for paltry 20-some-odd games. Well, there IS another option. For less than the cost of a Nintendo classic system, you can build a Raspberry Pi system that'll play all the retro games your heart could possibly desire. I built my own and slapped that puppy in an old NES case and it's everything I hoped it would be and more. I have it loaded with every NES, SNES, Master System, and TurboGrafx game ever released. Quite simply, I love this handcrafted retro gaming powerhouse and you can have one as well. The following article hopes to help guide you down the path to your first Raspberry Pi retro emulation system. Note: There a myriad of ways to get your system up and running. This is simply the method that most reliably and repeatedly works for me. 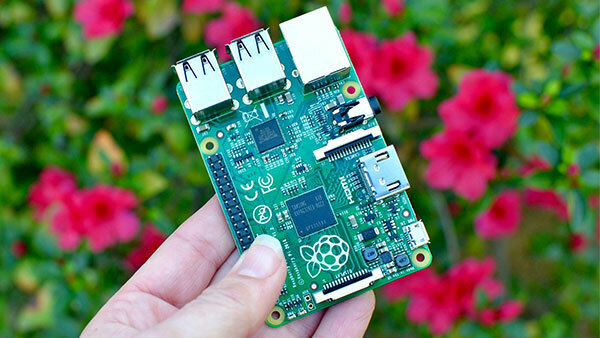 A Raspberry Pi: Either the Raspberry Pi 2-B or the Raspberry Pi 3-B.. The biggest difference between the two is that the 3-B has built-in Wi-Fi and the 2-B does not. A Micro SD card: I use a 32GB SanDisk which affords me all the space I need. If you order from Amazon, it's suggested that you choose an SD which is listed as "Ships from and sold by Amazon.com" to avoid inferior counterfeit cards. A micro USB power supply to power your Raspberry Pi. You can even pick one up with a built-in power button for easy on and off. An HDMI cable to hook up to your TV or monitor. A USB Keyboard for use during setup. A USB game controller: You don't have to, but it just doesn't feel real unless you have the right controller. Of all the USB controllers I have tried the Buffalo Classic has the best feel I have encountered thus far. A case to house your Raspberry Pi: I actually modified an old NES case to serve as mine but you can use something as simple and as low profile as this. If you're looking for something with a bit more retro flair but you're not ready to mod an original case you could pick an awesome retro-styled case from Amazon. You can get the NESPi Retroflag case for only $25, which features a functional power button and USB ports where the original case had controller ports. If you like the look of the SuperNES, then you can get yourself a Kintaro SNES case for a mere $15. Go to https://retropie.org.uk/download/ and download the "Raspberry Pi 2/3" image. Make sure to remember where you save it! Go to https://etcher.io/ and download the correct version for your system, then install. I prefer Etcher for its simple interface and compatibility with Windows, Mac, and Linux. Open up Etcher and click Select image. Navigate to where you saved your RetroPie image and select it. Choose your SD card (Make sure you select the correct drive letter. You don't want to write your OS drive with an image of Retropie!) Then click continue. It will take a few moments but once it's done writing you will have an SD card that's ready to roll! Insert your newly flashed micro SD card into your Raspberry Pi. Connect the network cable to your Raspberry Pi. Plug an HDMI cable to your Raspberry Pi and then to a TV or monitor. Plug your USB controller into your Raspberry Pi. Finally, plug your micro USB power supply into a wall outlet and to your Raspberry Pi. Your Raspberry by will now begin its first boot. Follow the on-screen instructions to configure your USB controller. If you are not going to hardwire your system to the internet, now is the time to set up your WiFi. You are going to need a USB keyboard to do that so go ahead and plug your keyboard into your Raspberry Pi. Navigate to the Retro Pie configuration page. Scroll all the way down to the bottom and select the Wi-Fi option. Next select Connect to Wi-Fi Network. Now select the network you wish to connect to. You will then be prompted to enter your Wi-Fi password. This is where you will need that USB keyboard. Once you have connected to your network, be sure to take note of your IP address. Your new Raspberry Pi/RetroPie system comes with all the emulators you could need pre-installed. Emulators use things called ROMs in order to boot and play games. Think of ROMs as the modern-day equivalent of a game cartridge. No cartridge, no games, so you are going to have to load up your system with all the ROMs you want to play. Now, I can't tell you exactly where to pick up ROMs but if you have at least marginal google-fu skills you should have no problem finding a resource that'll fulfill all your needs. There are a few different methods of moving ROMs onto your system. My favorite method is to use RetroPie Manager. It allows you to move ROMs from the computer you downloaded them with directly onto to your Raspberry Pi using your computer's browser. The first thing you are going to need to do is to enable RetroPie Manager on your Raspberry Pi. Navigate to your settings menu on your Raspberry Pi and select Retropie Setup. Scroll almost to the bottom and select Retropie manager. Select Install from source. Your system will now run a script which will download and install Retropie manager for you. Once it has completed select Configuration/Options. Select Enable Retropie Manager on boot. The computer you are going to be using needs to have all your ROMs and it needs to be on the same network as your Raspberry Pi. Click on Manage Rom files for emulated systems. Here you will find all the emulated systems on your Raspberry Pi. Select the system you would like to add ROMs for and click on it. Now all you have to do is drag and drop your ROMs into this window. Easy Breezy! Once you have all your ROMs loaded onto your system, give your Raspberry Pi a reboot and you're all ready for a retro gaming party to beat the band. Updated August 2018: Added some awesome retro-styled cases for your RetroPie!.